The "Kaiser" has some unique models developed with versatility in mind. 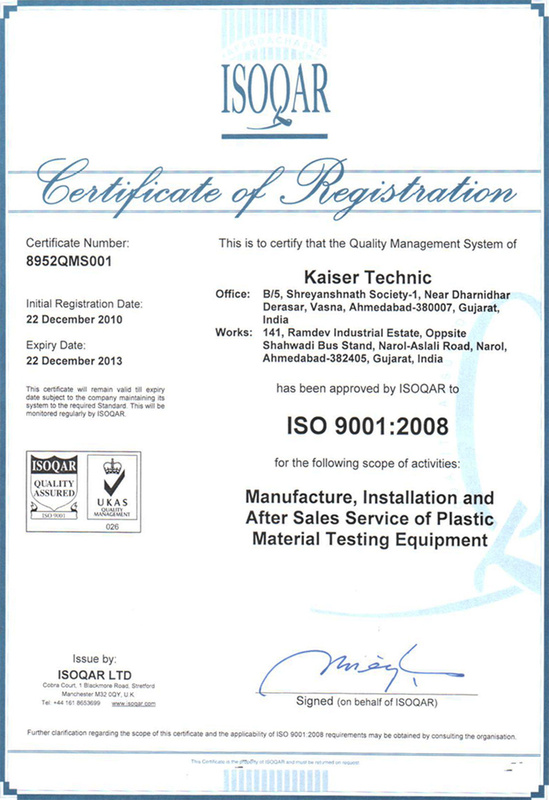 Kaiser UTM's can be used with our without using P.C. Universal Software capable of performing test on any type of materials. The "Kaiser" tensile offers testing flexibility and ease of use via an intelligent electromechanical system data transfer. ratio of load cell to instrument is 24 bits to give instateneous readout of data during process. The Kaiser versatile software helps to visualize the process and behavior of materials in form of data and graphs with all the calculated results required. Units of weights "Newton" or "Kilograms" can be selected from software. Round or of any different shape materials can be prespecified on specification window for direct calculation of area. FACILITY RS 232 interface with WINDOW based software to conduct test and keep record of data with graph for the test calculated results of Yeild Load,Yeild Extension, Break Load, Break Extension, and Modulus of Elasticity, Maximum Load, Maximum extension, and Tensile Strength. Line,bar chart,Doted line, etc facility in graph. Graph Grids colour Combination Facility. Graph Overlapping Facility for analysis Material Property. With in Second we get the Result in K.G./cm2 And Nt.\ mm2. Auto Scaling and fix scaling Facility. USB Driver Facility For Safety Features. We will generate the report with your company logo.